My purse and bag broke and then my earrings got lost when I was wearing a wig (Halloween). OBVIOUSLY this called for some new things to be picked up. 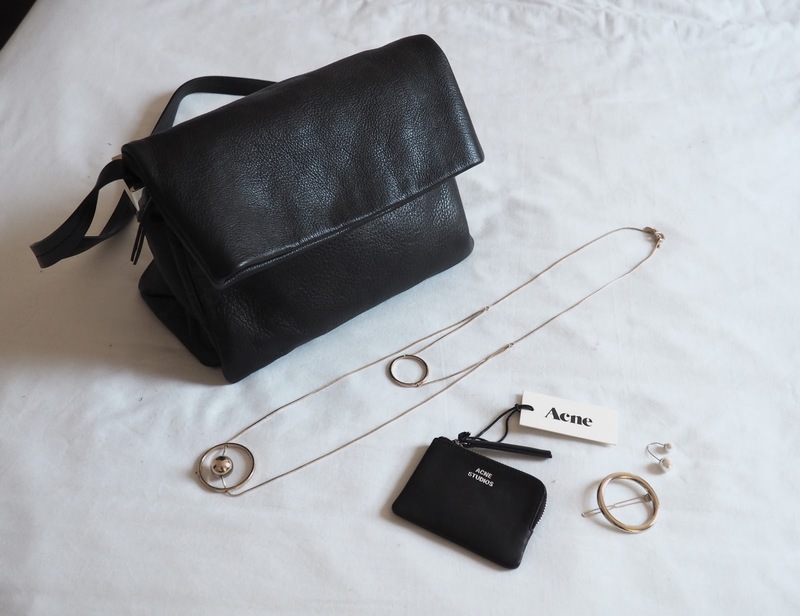 I got the Acne purse from Depop brand new from a lovely Swedish seller and the earring and the hair clip on sale for £1. I was down in London on Wednesday night so stopped at the launch party for the new And Other Stories store on the Kings Road. I used to work full time on that road so have many fond memories of walking down there every day, popping to the weekend market or Partidges for lunch and sitting outside the Saatchi. I'm almost glad it's only just opened, as I would of spent way too much of my wages there everyday. I'd been eyeing up the Fold-Over Leather Crossbody bag for a while though online and there was alcohol at the event and suddenly the next thing I knew I was at the till and the purchase had just kind of.... happened. I'm really in love with the quality of the bag though and it's really similar to the beautiful Celine 'All Soft Tote Bag' with the foldover style, so I have zero regrets. Love all these! So simple but stylish. That Acne purse is dreamy. Loving the coin purse and the hair clip. 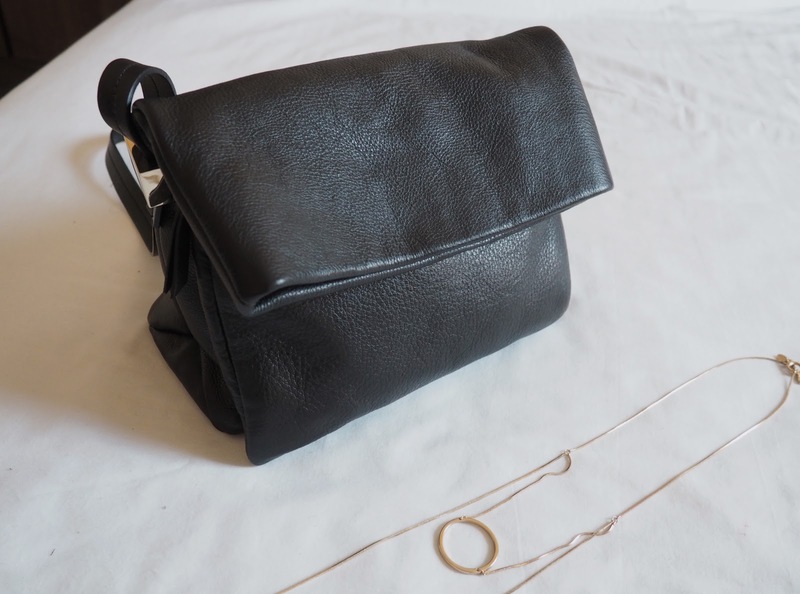 Leather bag is so gorgeous! I'm such a bag hoarder! Emma! You always have the best new-in posts. 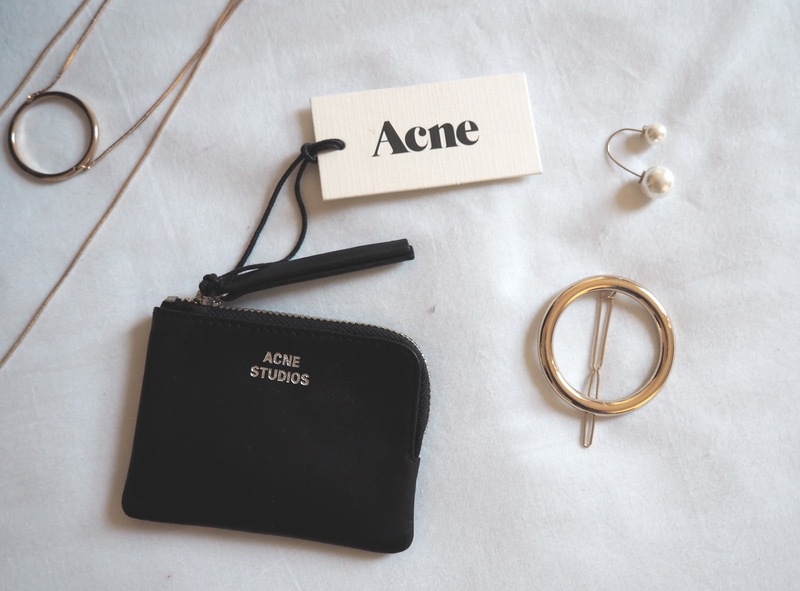 Of course, I'm in love with that Acne purse. I also, am obsessing over the celine inspired hair clip. thanks! i buy so much, i should do them more often tbh! That Celine-inspired hair clip seems so great! It's always nice to revisit neighborhoods that hold good memories.